In 2017, 17,208 fewer horses were shipped to Canada from the US for slaughter as compared to 2016. It should be noted that 2016 also saw a substantial decrease in shipments from 2015. Further, our review of Eurostat figures has determined that the import of horse meat from Canada into the EU dropped by more than half in 2017 as compared to 2016. Along with the fact that the Les Viandes de La Petite Nation slaughter plant in Quebec has been closed for horse slaughter since April 2017, this is a promising development in the fight against horse slaughter. The number of horses shipped to Mexico for slaughter has been on a steady decline since the EU ban on Mexico horse meat was put into place in 2015, and 2017 was no exception as Mexico once again saw a serious dip in slaughter horse shipments. Both Mexico and U.S. data show a reduction in U.S. horses exported. Although the AMS (USDA Agricultural Market News) figures vary somewhat from the Mexico import data sourced from INEGI (Mexico officials) - showing a slightly higher number of shipments, the figures from AMS still show a decrease of over 11,000 horses shipped for slaughter in Mexico in 2017 compared to 2016. The EU ban on horse meat from Mexico and the latest regulations put into place for Canada, along with a decreased demand from consumers across the board, have been very important steps in the right direction. At Animals' Angels, we’re gratified for the part our work has played in facilitating these positive changes. However, we must all remain proactive if we want to ensure the protection of the horses we all know and love. We must continue to push for a full ban on horse slaughter in the U.S. as well as a prohibition on the transport of U.S. horses across the borders for slaughter. Animals' Angels will continue to provide legislators with in-depth investigative reports that detail the overwhelming evidence of neglect, abuse and cruelty that is inherent in the horse slaughter industry, along with the documentation of fraudulent records and the ongoing health risks of horse meat due to the pharmaceuticals the animals are given throughout their lives. Moreover, we will persist in our direct conversations with the EU Commission, strongly urging them to enact a complete ban on horse meat imports from Canada as well. 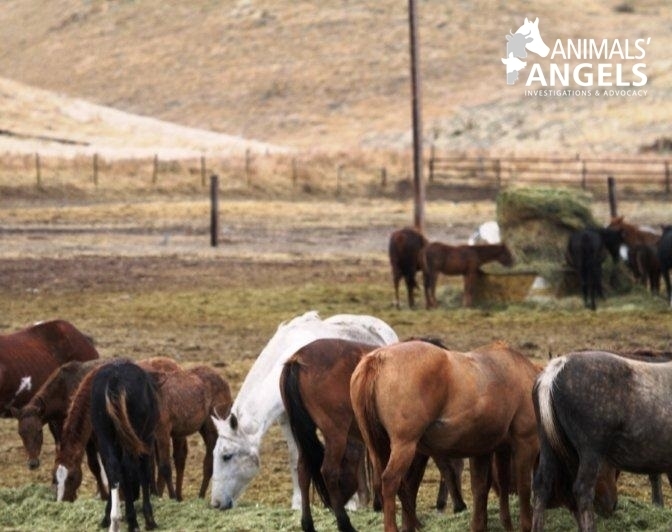 We also urge everyone to continue reaching out to their legislators to demand an end to horse slaughter.